Forum Announcement: Map not rendering? View common solutions here! Problem: My map is not rendering correctly. 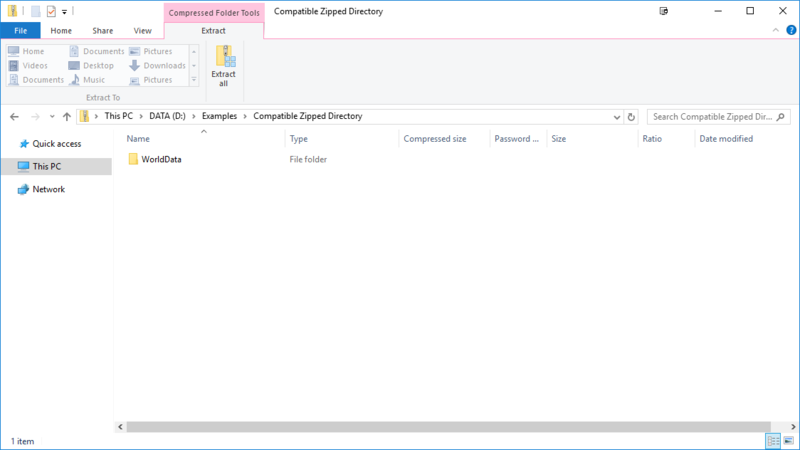 Solution 1: Make sure that your compressed directory contains nothing but your world’s data. Our servers will not render your map if it contains content such as text files, resource packs, or Mac OS directories. 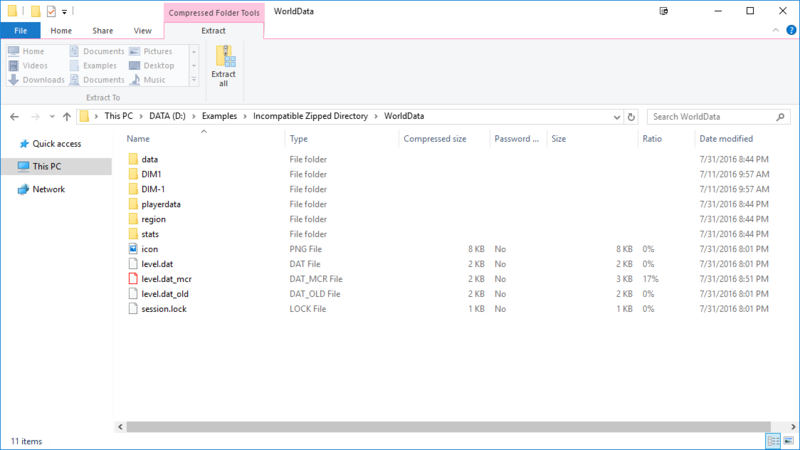 If your compressed folder contains extra content, our render servers will not be able to recognize which file contains your world's data. 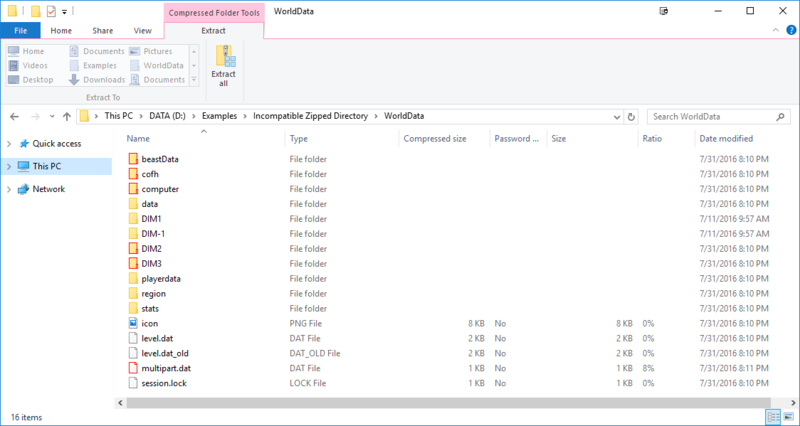 In this particular example, you would need to delete everything except the folder called WorldData, which would contain the world's files. Red icons represent files and directories that are in need of removal. Before uploading your map, make sure that your map looks something similar to what you see below. Solution 2: Make sure that your world only contains vanilla-related content. Your world will not render if it contains files related to mods or programs such as MCEdit. Our render servers do not fully support modded content in your world. However, if you launched your world with mods, but your world does not contain any modded content, you can safely delete files that the mod generated. In this case, you would need to remove the cofh, computer, DIM2, and DIM3 directories and the multipart.dat file to result in a successful render. Red icons represent files and directories that are in need of removal. As for MCEdit content, you may need to delete folders labeled ##MCEDIT.TEMP## for a successful render. 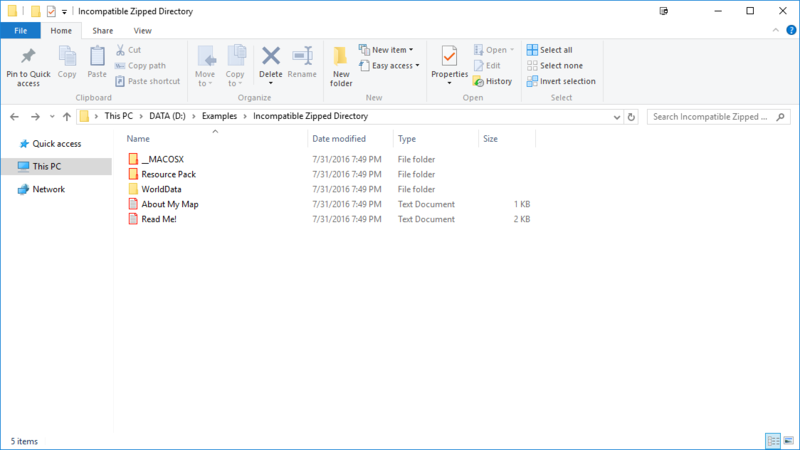 Make sure to check all directories for these types of files and directories. When uploading, make sure your world has a vanilla file structure, which can be seen below. Solution 3: Make sure that your world does not contain MCR file types. MCR is an older Minecraft file format which is no longer supported in normal world generation. This change means that our render servers no longer support usage of this format for versions past Minecraft 1.2. These sort of files may still exist in your world, however. Therefore, check to make sure there is no a file called level.dat_mcr in your main directory. 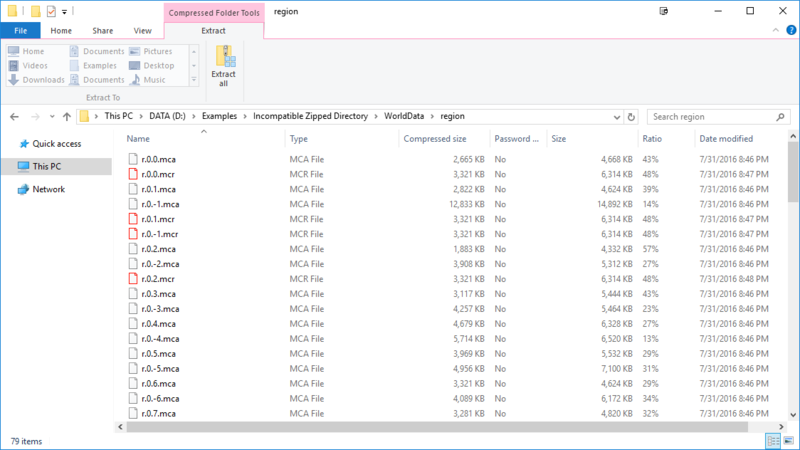 If there is, you will need to remove it, along with any file with the .mcr extension in the regions folder to result in a successful render. Red icons represent files that are in need of removal. If you are still running into issues when rendering your map, tell us about it in a new thread by clicking here. (07-31-2016, 07:09 PM)Example1 Wrote: I uploaded my map, but the render isn't working. (07-31-2016, 07:09 PM)Example2 Wrote: I've uploaded my map, but it doesn't seem to have rendered correctly. I've read through the problems and solutions thread, but none of the solutions seem to be helping! The map that I am having difficulty with can be found at http://www.minecraftworldmap.com/worlds/ILAXb. This was written word by word by Nathangorr, no rules were taken from other sites.